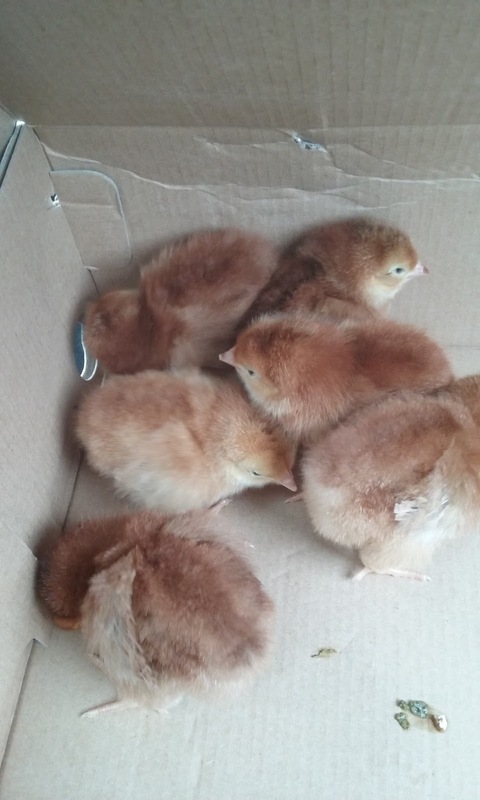 For some reason my husband and I got it in our heads that we might want to raise chickens. I’m sure it was just a perfect storm of events. One of our good friends in Hawaii had chickens, we got a house with a large yard in Pensacola, we went to the East Hill Edible Gardening class on chickens. 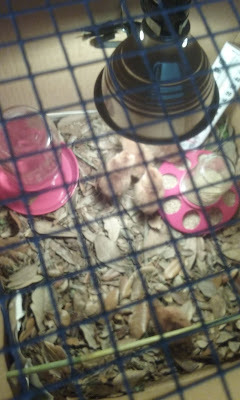 And about a week later we had chicks! They say chickens are easy to take care of, more work than a cat, but less than a dog. You have to check in on them daily to ensure they have enough food and water and collect eggs, but you don’t have to walk them! We plan to keep our chickens in a coop full time. Free ranging is allowed where we live, but there are hawks (or ospreys), and pets abound. Besides, we don’t want to be tied to put the chickens away every night. So we decided to make our coop large enough that they have all the room they need to live a happy and healthy life within the coop. We went to a chicken class where we learned where to purchase chicks, what sort of environment they need, what sort of feed. We went to the feed store and got 6 Rhode Island Red chicks, a bag of chick starter, and a piece of hardware cloth. We already had a large cardboard box, a shop light with incandescent bulb, a feed and water dish and leaves. Mix that all together and you get a chick coop safe enough that the dog and can’t enter! Our cat couldn’t care less, but our dog is very fascinated. So far they have been very easy. Both my husband and I go out there two to three times a day to make sure they are doing alright and are used to us and being held. 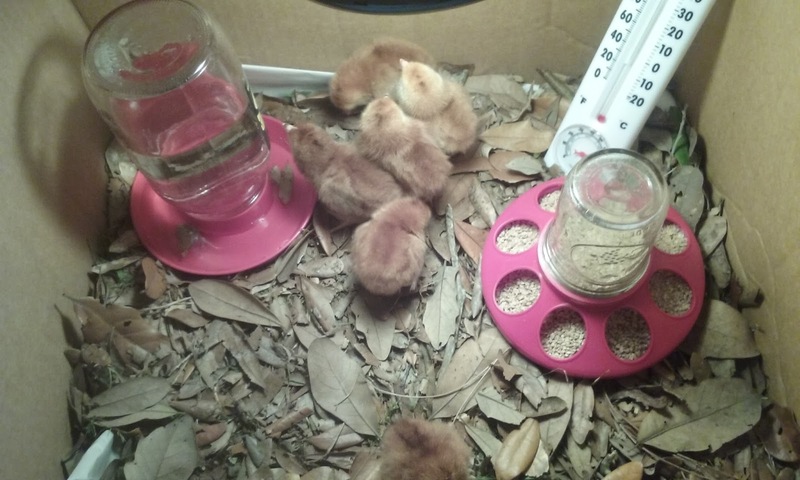 The chicks need to be kept with a warm light until all of their feathers come in. We’re keeping them at about 95 degrees now and decrease by 5 degrees a week until they are at room temperature. They’re already getting more feathers. Our set up. Feed and water containers, leaves, a lamp, a perch and of course, chicks. They say it will take about 6 months until we get eggs, so we are saving up all of our egg cartons, but when it happens we'll be up to our eyeballs in eggs! 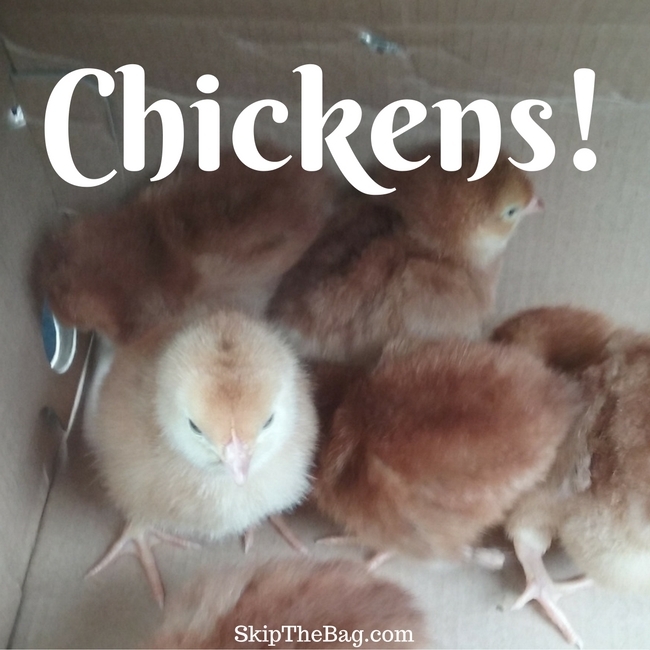 Have you ever wanted chickens? 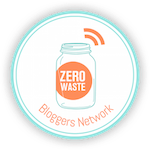 Thank you for sharing how to care for baby chicks with us at the Healthy Happy Green and Natural Party Blog Hop. I'm pinning and sharing. This brings back many memories. When I was a child my dad raised chickens. We would get baby chicks and raise them the same way. We had Rhode Island Reds at one time then Brahmas.